When you hear an artist who woos you with their velvety voice and multidimensional music, you know you’re listening to someone special. When you see that artist perform live, you’re given a glimpse into just how good they are. 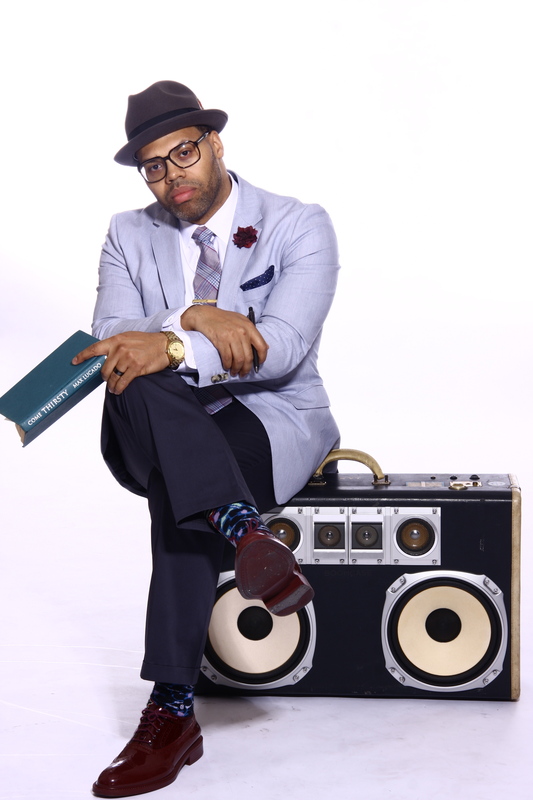 Eric Roberson–unbeknownst to some–is a singer, songwriter, producer, and Grammy Award Nominee. He has worked with artists such as Jill Scott, Dwele, and Kim Waters. Growing up in a home surrounded by music, ironically, it wasn’t until Eric’s early twenties that he realized music was going to be his life. He takes the diversity of a myriad of genres along with inspiration from those he’s worked with to create music that infuses everything from hip hop to R&B to rock. There are so many facets to Roberson–not to mention his riveting live performances. The chemistry between him and his band is incredible to witness. It is as if they are all sharing the same mind and thoughts simultaneously. His performances can be viewed as theatrical in a sense. With the ability to improvise and make up songs with suggestions from the crowd, he adds another entire dimension for the viewers. Eric’s uncanny ability to engage the fans by pulling them into his performances enhances the experience exponentially. With the highly anticipated release of his tenth album, The Box, being released on August 12th, Roberson is thrilled to share new music with his fans.